Gil Golan is a staff attorney in the Financial Services practice. 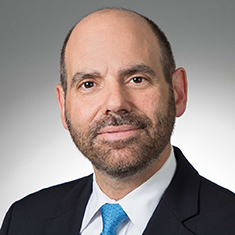 He has more than 15 years of experience in distressed debt and bankruptcy claims trading, having worked several years at two of the largest broker/dealer and agent banks in the syndicated loans market. He focuses on the purchase and sale of bank debt in the US and emerging markets sectors, trade claims, private securities, vendor protection and other securitized products. He is also experienced in loan restructurings and claim reconciliations. While in law school, Gil served as business editor of the Fordham Journal of Corporate & Financial Law and worked as an associate at the Fordham University Federal Tax Clinic. Gil is a member of the Loan Syndication and Trading Association (LSTA).